With a mixed crowd and a modern-luxury, Moroccan feel, Wisdom is a shining star in the local bar scene. 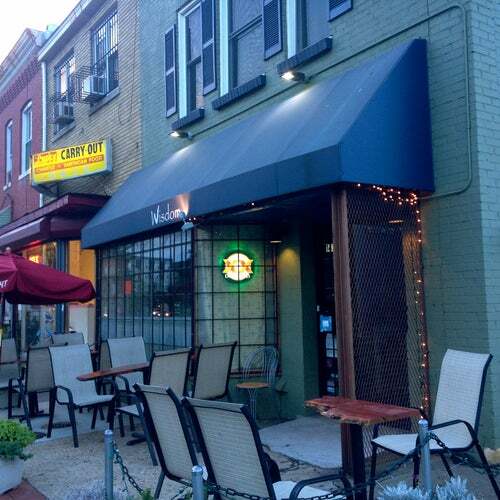 A neighborhood feel in new East Hill, it's a great place to get a taste of the real DC lifestyle. This bar has a french / north african theme- think paris meets morocco with a thievery corporation soundtrack. great cocktails - friendly atmosphere - absinthe bar as well - and the crowd is generally 50 / 50 gay straight. A star in the up and coming new hill east... worth a trip.